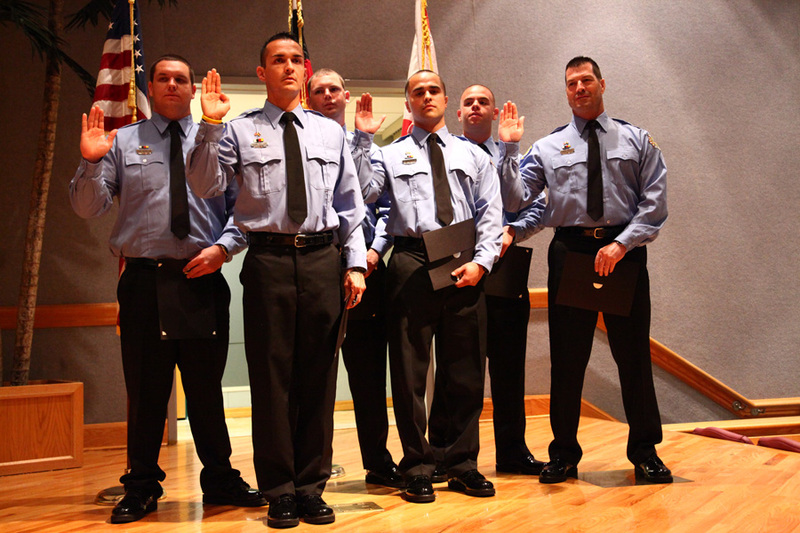 HOLLYWOOD — Six new Fire Rescue recruits stood tall in uniform with their right hands raised. 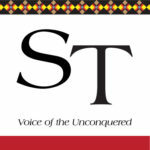 “Repeat after me,” President Tony Sanchez Jr. said. 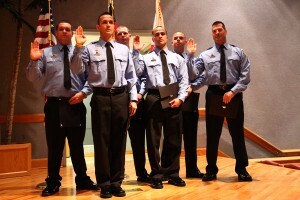 The men said their oaths and walked into the start of an exciting new career. The Department of Fire Rescue held their Graduation, Badge and Promotional Ceremony on March 9 at the Hollywood Tribal Headquarters. The new inductees were: Zachary Bashir, Brandon Bechler, Edgar MacWilliam, Christopher Keefe, Steven Pagan and Jorge Pastore. They were chosen out of about 300 applicants. The men endured 240-plus hours of hands-on training and physical activity – including climbing flights of stairs in full bunker gear, chopping wood, pulling hoses and dragging 180-pound dummies in mid-day heat – during more than six weeks of training. Although it was challenging, Bashir said it was worth every minute. In addition, the department honored the graduating class of 2010 at the ceremony: Steven Betancourt, Joshua Blepp, Tony Egues, Mark LaMadeleine, Vasile Mircea, Kevin Sayles and Heather Tower. Blepp, whose wife, Kristen, and 2-month-old, Teagan, came to support him, said the ceremony and photo slideshow brought back memories of his initial training. But the training doesn’t end there, he said. The officers have continual drills to keep them sharp on the job. “I feel comfortable in what I’m doing,” he said. Also, Tribal employees Bruce Britton, Robert Brown, Daniel Rivers and Jorge Valdes received recognition for promotions. Rivers, who was promoted to lieutenant, has worked for the department for five years as a firefighter/paramedic. The evening began with a welcome from Chief DiPetrillo and a presentation of colors by Seminole Police Honor Guard. Then, Chief Public Safety Officer Gerald A. Wheeler addressed the crowd. President Sanchez also offered his congratulations and appreciation for their commitment to serve. “The sacrifices that you have to make, the support you have to give, it’s not easy, but it’s necessary,” President Sanchez said. The new recruits received badges and certificates, and the formal portion of the ceremony ended with a photo slideshow of the graduates and promoted employees. Following the ceremony, the honorees posed for photos and enjoyed sandwiches and cake in the lobby. “I hope [Tribal members] have full confidence in the skills that we provide – fire and EMS,” Fire Division Chief Joseph Sorrentino said. There are currently 137 members of the Fire Rescue Department, including administrative and support staff. The Department serves all Florida Seminole reservations via three full-service stations and two wild land stations in Hollywood, Big Cypress and Brighton, Chief DiPetrillo said. The recruits completed most of their training at the Broward Fire Academy, but they hope to change that soon. Last year, the department started construction on their own training facility on the Big Cypress Reservation. They currently have a two-story burn building, and the next phase will be installing vehicles to practice extractions.